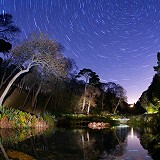 Discover the beauty of famous Cornish gardens with our Luxury Garden breaks. 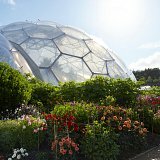 All breaks include entry to 3 gardens, where you get the pleasure of choosing between the Lost Garden's of Heligan, the Eden Project, Trebah, Pinetum and Caerhays Estate. 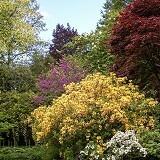 Enjoy admission to three famous Cornish Gardens. 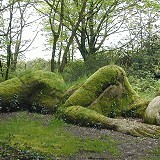 Choose between the Eden Project, the Lost Gardens of Heligan, Trebah Garden, Pinetum Gardens & Caerhays Castle. These prices are per person and based on two people sharing an inland room, upgrades to sea view rooms are available at a supplement. Book now by clicking below or calling our friendly reservations team on 01726 812304 and quote 'Garden'. Trebah Gardens are a sub-tropical paradise with a stunning coastal backdrop. Visit to discover the magic of this beautiful Cornish valley garden with over four miles of footpath. Follow vibrant tunnels of colour that cascade down to our their own secluded beach on the Helford River. Lovingly created over 4 decades and located in the heart of St Austell Pinetum Gardens stands as a place of tranquillity, peace and remarkable garden scenery. 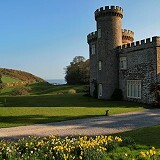 Discover the magic of the 140 acres of Spring Gardens at Caerhays Castle and Estate. Enjoy a day exploring the natural beauty of the coastlines, the sweeping valleys, the castle grounds and the exciting rich history.